In what can be considered a frustrating spell for Manchester United and their fans, Gareth Bale has given little away since rumours broke out about an impending release from Real Madrid following a much-publicised feud with then manager Zinedine Zidane. The Welsh forward, who scored 2 vital goals in the successful UEFA Champions League final for Los Blancos, made headlines after hinting at a possible move away from the Bernabeu, with his preferred choice of location being the Premier League. Now, however, Bale has thrown off several possible suitors by claiming he’s willing to wait it out to see who the next Real manager is before he can decide his future once and for all. 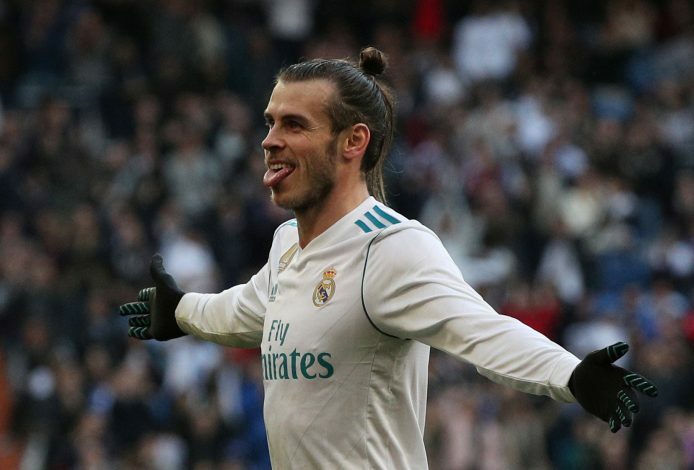 According to reports, Bale is looking for an opportunity to play regular football, and if the new Madrid boss proves conducive to the Welshman’s requirements, he may just decide to stay put. This is bad news for teams like Manchester United, who had reportedly even mustered up an amount close to 200 million pounds in order to lure the former Southampton and Spurs man to Old Trafford. Bale has struggled with injury problems since he made the historic 100 million pound move from Tottenham Hotspur to Real Madrid in 2013, scoring 70 goals in 126 appearances for the Galacticos and slowly endearing himself to the Madrid faithful. But since Zinedine Zidane took over at the Bernabeu, first-team football has been hard to come by for the talented player, and reports of discontent seemed to grow stronger. This rumour was given more weight when Zidane decided to leave Bale out of the starting line up for the UCL final in Kiev, where the 28-year-old eventually came off the bench and scored two stunning goals to confirm a third straight triumph for the Galacticos. It remains to be seen if the Frenchman’s premature departure from Real has changed the mind of Gareth Bale, but at the moment, it appears as though the pacey winger is more than happy to wait it out for before taking a concrete decision.